Companies are finally realizing Cybersecurity is not just an IT problem, but an overarching business problem. While having the proper security tools in place might make a company “compliant” in their industry, compliant does not equal secure. Why? Because of humans: human error, lack of training and knowledge, improper training, lack of ownership – the list goes on. So who (person or department) should OWN Cybersecurity in a company? Bill Aimone and Peter Purcell debate the topic in this podcast episode. ​In JAR(GONE), authors of Trenegy clarify the buzzwords currently plaguing the consulting world. 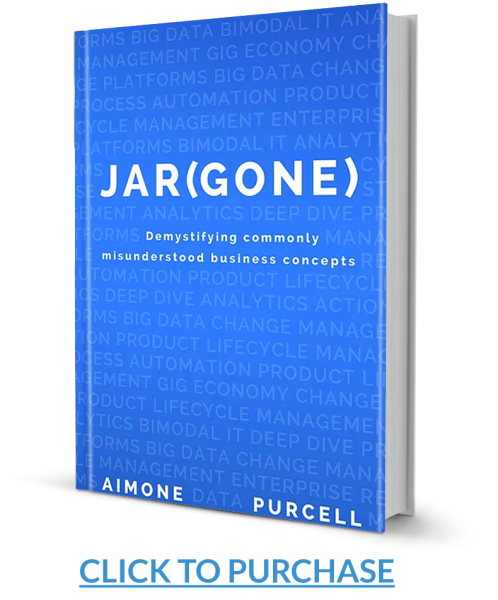 JAR(GONE) will help you understand what the buzzwords really mean, and more importantly, what they don’t. — Chris Robbins, Chief Financial and Accounting Officer, USD Group LLC.